With veggies in abundance this time of year, why not throw some on the grill? 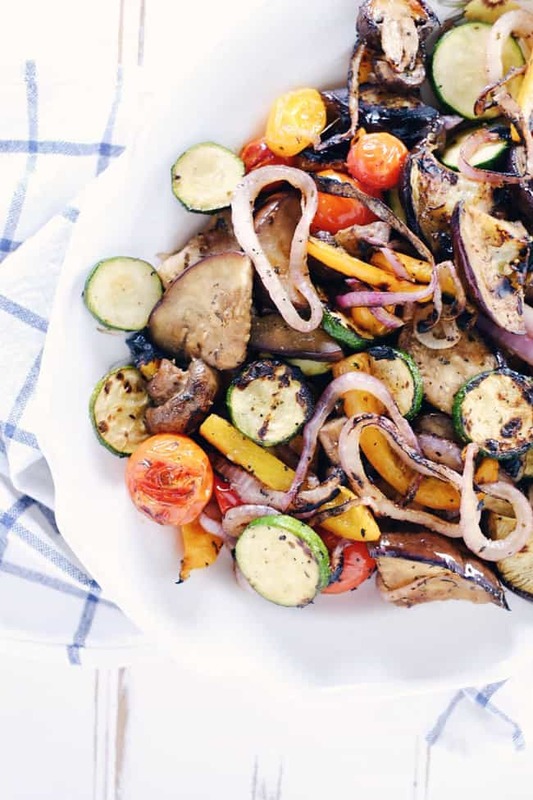 If you haven’t tried marinated grilled vegetables before, now is the perfect time to start. Really, it’s as easy as 1, 2, 3. Grill and devour some delicious vegetables! See, I told you it’s easy! The next time you fire up the grill, skip the boring side dish and grill up some fresh veggies to go with your favorite meat. They are packed with tons of flavor – perfect as a healthy side dish to any meal. They would pair perfectly with a nice cut of skirt or flank steak, cilantro garlic shrimp skewers or lemon thyme chicken. I know your mom always told you to eat your vegetables, but who ever thought they could be so beautiful and delicious? 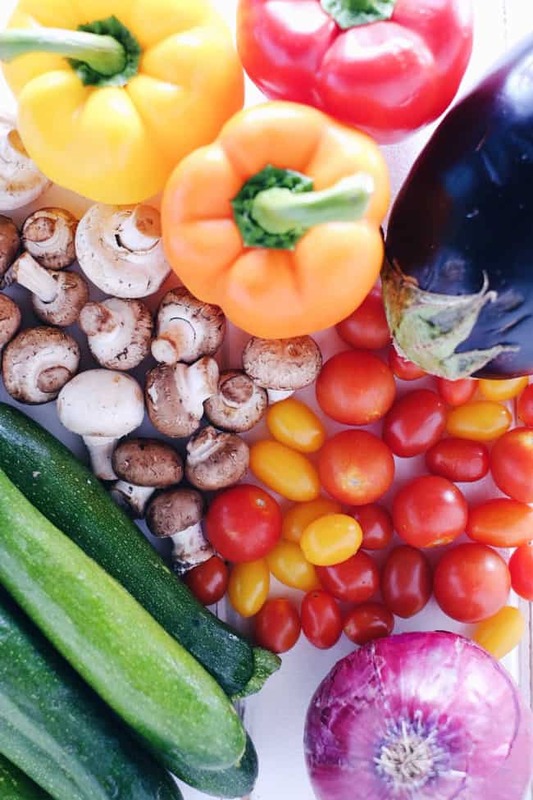 Just look at the rainbow of colors and variety of nutritious vegetables. 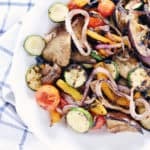 Give these marinated grilled vegetables a try, and let us know what you think by leaving a comment below. Also, take a picture and tag it on Instagram @realsimplegood so we can check it out! Chop up all of the vegetables and place them in a large zip-lock bag. Mix the marinade ingredients in a bowl. Pour over the vegetables. Place in fridge to marinate for at least 30 minutes. Heat up your grill to a high direct heat. 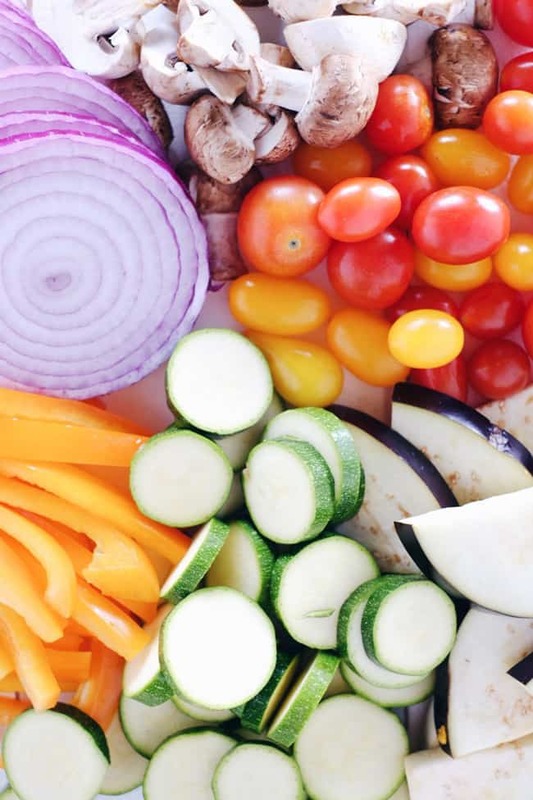 Place vegetables on a grilling pan. If you don't have a grilling pan you can use a baking pan or sheet. A pan helps to prevent the veggies from falling through the grill. Place pan over high direct heat to cook, about 5-6 minutes per side.You want the veggies to get a nice char from the grill, but pull them off before they get too soft.